Model T Ford Forum: Riveting question! Model T Ford Forum: Forum 2018: Riveting question! The rivets around the wheel side axle tube on my six rivet clamshell need to be set, but I'm not exactly sure how to go about doing this. I know the rivets go through the hole from the inside, with the button head inside (I just placed the rivets in the hole for visual purposes) but how do you back them to set them? It's probably six inches from the opening to where the rivet sits. Any suggestions would be greatly appreciated! 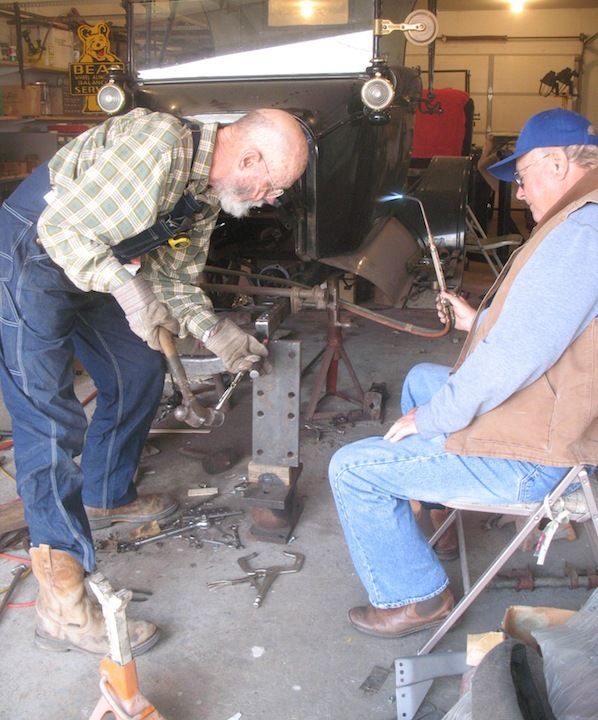 Older post suggests using a TT rear axle shaft as bucking bar. I have used an old axle shaft into which I formed a spherical pocket, (with a Dremel tool), for the head to sit. Otherwise, the rivet head will want to be everywhere but centered on the axle shaft. Doesn't have to be an old axle, just any good, stout hunk of steel that will get in there. Hope you've got a hefty vise to hold the bucking bar with. As you may recall from my helping with your 12 rivet rear end, you don't have to heat these rivets. Machine up a narrow cone of steel that fits in the hole and contacts all six rivet heads (with the factory heads inside). The cone needs about a 3/8 hole thru it that a long piece of 3/8 threaded rod will pass thru to the center of the housing where a large washer of some sort will allow you to clamp the whole works so that tapered cone stays tight to the rivet heads until you are done riveting them over. Taper on the cone should be somewhere around 1+1/2� per foot. 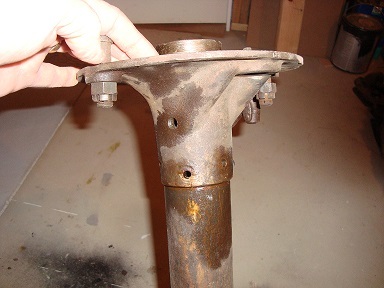 A TT axle shaft might work, but you should really have something that stays tight but doesn�t stress the housing. Whatever you use to back up the rivets, I would make it a two-person job. 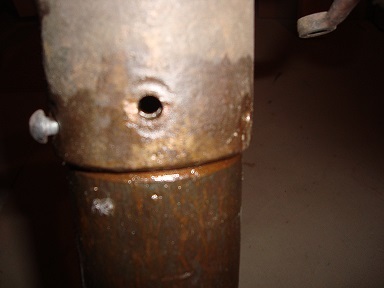 By the time you set down the torch and pick up your tools, the rivet is starting to cool and get hard. It's better to have one person keep the rivet hot and the other one do the mashing. I respectfully disagree with the cone type bucking bar. When you begin to peen the first rivet, its head will be squashed somewhat, allowing the rivet to back out of the hole, creating a gap under the head. The other rivets in contact with the bucking bar will prevent the bar from being able to keep that first rivet properly seated. 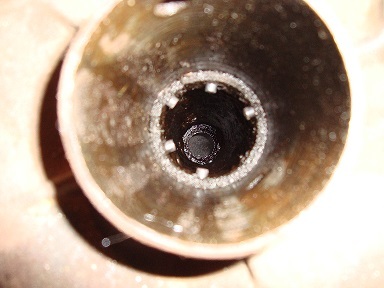 Similar consequences will be found in each successive rivet. These rivets need to be bucked one at a time. Jerry posted while I was typing. I didn't know these rivets could be installed cold. Is that how they were done originally? I don't know if they were originally done hot or not. Don't get me wrong, there's nothing wrong with doing them hot. I just find that it's not necessary. For larger rivets however, it would the way to go. If you decide to do this let me know and I'll dig out the bar. Gary - that tool looks perfect! I also sent you a PM concerning this topic. Thanks!!! Glad to help, Bill, just post pictures when you're done!! !